With improvements to manufacturing and production, formerly “exotic” technologies are not only becoming affordable to hunters and shooters but also much more capable. Our Friday Night Lights series showcases some of these items. 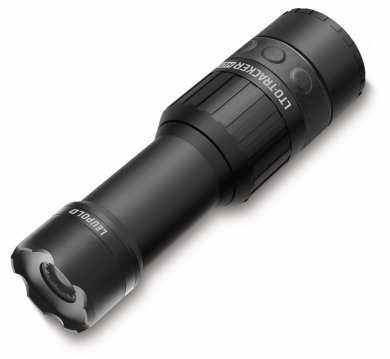 A couple of new updates to Leupold’s line of thermal devices have some listed improvements over their predecessors. 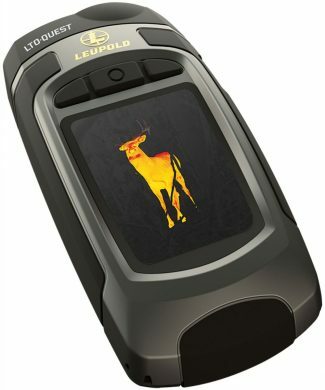 Leupold & Stevens, Inc. has upgraded its award-winning thermal imager line with the introduction of the LTO-Tracker™ HD and LTO-Quest™ HD. Designed to be compact and light enough to take on even the farthest backcountry hunt, the LTO-Tracker shows hunters the heat signature of game, blood trails and more – day or night. The new LTO-Tracker HD takes things to another level: the second-generation thermal sensor detects heat out to 750 yards and a new 390×390 pixel full circle display offers an improved resolution. The LTO-Tracker HD will feature new Copper and Range color palettes not previously offered. It is capable of detecting temperatures from -40°F to 572°F and will perform in temperatures from -4°F to 140°F. The LTO-Tracker HD will feature new Copper and Range color palettes not previously offered. It is capable of detecting temperatures from -40°F to 572°F and will perform in temperatures from -4°F to 140°F. The LTO-Quest delivers a powerful handheld thermal device, a camera, and a dual-mode 300-lumen flashlight all in a single piece of gear. The LTO-Quest HD uses an advanced thermal sensor to extend its detection range out to 750 yards and provides storage space for up to 3,000 images. The 320×240 pixel display has been ruggedized with Gorilla® Glass. The unit features four hours of continuous use. The LTO-Quest HD uses an advanced thermal sensor to extend its detection range out to 750 yards and provides storage space for up to 3,000 images.